contemporary paintings featuring love and respect for all animals. I've been working on more paintings for The Tropical Collection and my Animal Respect Collection and will continue to do so through 2018, but first let me say welcome to my site. I am happy to say I am selling more of my paintings than ever! I think people are responding to my messaging about the beauty of the tropical world and the importance of humane treatment for domestic animals. 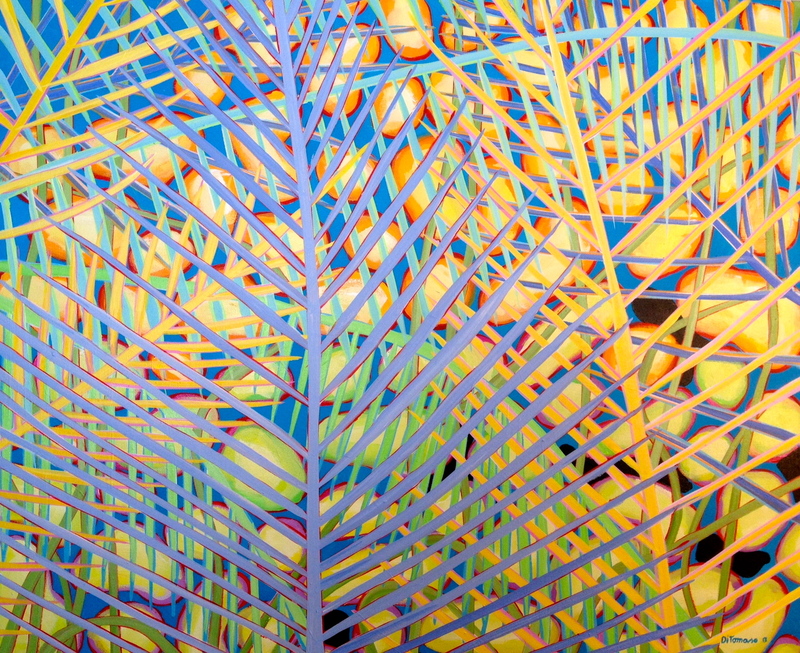 The painting below (30x36) is from The Tropical Collection. Ten percent of proceeds from the above two Collections are donated to animal rights causes and various land conservation groups.